Breast cancer patients looking for post-surgery specialty retailers can now find a cream that spreads easily over compromised, radiated skin while they shop for bras and/or prosthetics at Lady Grace Stores. Due to an evidence-based study on topical agents conducted by the Oncology Nursing Societyin 2011, many radiation oncology clinicians are aware of the protective benefits of calendula, a key ingredient in the plant-based, fragrance and dye-free My Girls™ Skin Care cream. The product is now sampled at more than fifty hospitals and radiation treatment centers in the U.S. as a result of breast cancer patients using it with successful results. 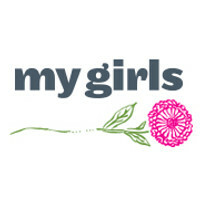 Radiation patients can find My Girls™ at Lady Grace Store located near sampling radiation treatment centers in Massachusetts, New Hampshire and Maine or via their rapidly expanding mail order and online business. "So far, just one patient has used My Girls™ Skin Care cream and she absolutely loved it. This cream worked wonders for her. Her skin literally healed up overnight. The redness, discomfort, and itchiness were relieved immediately. In her words, “the cream is so soothing” and she liked that it’s non-greasy too. Presently we are providing Aquaphor for our patients, but I’m working with the staff and our manager to order My Girls Cream as an option for our patients.” St. Francis Hospital, San Francisco. One of the key ingredients in My Girls™ Skin Care cream is Calendula, extracted from the flower of the marigold plant, and is documented in the U.S. Homeopathic Pharmacopeia for its helpful benefits with burns, eczema, acne and skin irritations. As a result, many My Girls Cream customers use the cream after radiation treatment ends for their face and body because of its benefits on maintaining healthy skin and because it is fragrance and dye-free. "I decided to order some again just to use in general because I liked it so well - it goes on very gently and it contains only healthful and healing ingredients." Wendee McCoy, Cottage Grove, MN, breast cancer survivor and My Girls fan. Radiation oncology clinicians like it because it helps patients avoid treatment delays associated with radiation burns but also because its’ non-greasy and non-staining creamy texture spreads easily over compromised skin. As a result, some radiation oncology clinicians also now recommend it for head and neck cancers. ”We are excited to carry My Girls™ because we’ve received multiple requests from our clients who are breast cancer patients. It’s a natural fit with our mission to provide the very best service to our customers.” said Geralee Richardson, CFM, Lady Grace Stores.